Beginning with his classic debut, Illmatic (1994), Nas stood tall for years as one of New York City's leading rap voices, outspokenly expressing a righteous, self-empowered swagger that endeared him to critics and hip-hop purists. Whether proclaiming himself "Nasty Nas" or "Nas Escobar" or "Nastradamus" or "God's Son," the self-appointed King of New York battled numerous adversaries for his position atop the epicenter of East Coast rap, none more challenging than Jay-Z, who vied with Nas for the vacated throne left in the wake of the Notorious B.I.G. 's 1997 assassination. Such headline-worthy drama informed Nas' provocative rhymes, which he delivered with both a masterful flow and a wise perspective over beats by a range of producers: legends like DJ Premier, Large Professor, and Pete Rock; hitmakers like Trackmasters, Timbaland, and will.i.am; street favorites like Swizz Beatz, Megahertz, and the Alchemist; and personal favorites of his own like L.E.S., Salaam Remi, and Chucky Thompson. Nas likewise collaborated with some of the industry's leading video directors, including Hype Williams and Chris Robinson, presenting singles like "Hate Me Now," "One Mic," and "I Can" with dramatic flair. Nas continually matured as an artist, evolving from a young street disciple to a vain all-knowing sage to a humbled godly teacher, as heard on later work such as God's Son (2002) and Life Is Good (2012). Such growth made every album release an event and prolonged his increasingly storied career to epic proportions. Born Nasir Jones, son of jazz musician Olu Dara, Nas dropped out of school in the eighth grade, trading classrooms for the streets of the rough Queensbridge projects, long fabled as the former stomping ground of Marley Marl and his Juice Crew as immortalized in "The Bridge." Despite dropping out of school, Nas developed a high degree of literacy that would later characterize his rhymes. At the same time, though, he delved into street culture and flirted with danger, such experiences similarly characterizing his rhymes. 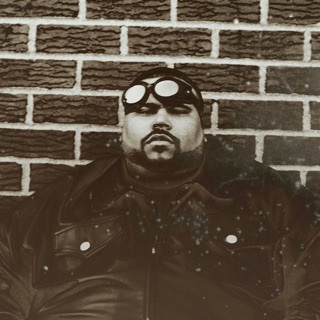 His synthesis of well-crafted rhetoric and street-glamorous imagery blossomed in 1991 when he connected with Main Source and laid down a fiery verse on "Live at the Barbeque" that earned him up-and-coming notice among the East Coast rap scene. Not long afterward, MC Serch of 3rd Bass approached Nas about contributing a track to the Zebrahead soundtrack. Serch was the soundtrack's executive producer and had been impressed by "Live at the Barbeque." Nas submitted "Halftime," and the song so stunned Serch that he made it the soundtrack's leadoff track. Meanwhile, Columbia Records signed Nas to a major-label contract, and many of New York's finest producers offered their support. DJ Premier, Large Professor, and Pete Rock entered the studio with the young rapper and began work on Illmatic. When Columbia finally released the album in April 1994, it faced high expectations. Regardless, Illmatic proved just as astounding as it had been billed. It sold very well, spawned three charting hits, and earned unanimous acclaim, followed soon after by gold and platinum certifications and classic status. The two years leading up to Nas' follow-up, It Was Written (1996), brought another wave of enormous anticipation. 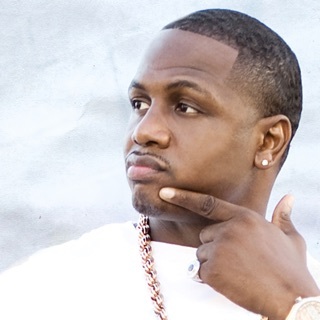 The ambitious rapper, who had begun working closely with industry heavyweight Steve Stoute, responded with a significantly different approach than he had taken with Illmatic: where that album had been a straightforward hip-hop album with few pop concessions, the largely Trackmaster-produced It Was Written made numerous concessions to the pop-crossover market, most notably on the two hit singles, "Street Dreams" and "If I Ruled the World (Imagine That)." These singles -- both of which drew from well-known songs, Eurythmics' "Sweet Dreams (Are Made of This)" and Kurtis Blow's "If I Ruled the World," respectively -- broadened Nas' appeal and awarded him MTV-sanctioned crossover success. The latter earned the rapper his first Grammy nomination. This same crossover success undermined some of his hip-hop credibility, however, and a minor backlash by purists resulted. Nas addressed his critics on "Hate Me Now," the second single from his next album, I Am (1999). The effort had originally been planned as a double-disc concept album comprising autobiographical material, but when some of the tracks were leaked, I Am was scaled down and released as a single disc, with the DJ Premier-produced "Nas Is Like" chosen as the lead single. Besides "Nas Is Like" and "Hate Me Now," which both broke into the Billboard Hot 100, "You Won't See Me Tonight" and "K-I-S-S-I-N-G" also charted as singles. Originally scheduled by Columbia as a follow-up album comprising the pirated material from the I Am sessions, Nastradamus (1999) -- released in time for the holiday shopping season, roughly six months after its predecessor -- instead featured almost entirely new material, recorded quickly to meet the late-November release date. The album still peaked at number seven and spawned two charting singles, "Nastradamus" and "You Owe Me." In the late-'90s wake of the Notorious B.I.G. 's assassination, Nas reigned atop the New York rap scene alongside few contemporaries of equal stature. 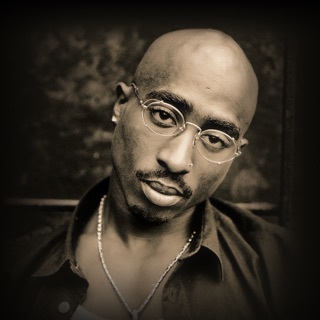 In addition to his endless stream of hits by the industry's most successful producers -- "If I Ruled the World" (produced by the Trackmasters), "Hate Me Now" (Puff Daddy), "Nas Is Like" (DJ Premier), and "You Owe Me" (Timbaland), among others -- he co-starred in the Hype Williams-directed film Belly (1998) alongside DMX and contributed to the soundtrack. 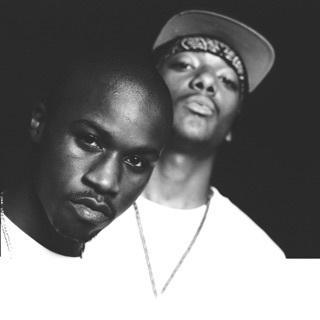 Furthermore, Nas led a short-lived supergroup of New York rappers known as the Firm (also featuring rappers Foxy Brown, AZ, and Nature, with producers Dr. Dre and the Trackmasters) and assembled a broad coalition of fellow Queensbridge rappers for the QB Finest compilation (2000). A series of incidents in 2001 provided a key turning point in Nas' career. The rapper's personal life was becoming increasingly complicated, and longtime rival Jay-Z pointedly dissed him on "Takeover," the much-discussed leadoff song from the acclaimed Blueprint album (2001). Nas responded strikingly in December 2001 with Stillmatic, the title a reference to his classic Illmatic album, which had been released nearly a decade earlier. Stillmatic opened with the song "Ether," a very direct response to Jay-Z, followed by the aggressive lead single "Get Ur Self A...." These two songs in particular rallied the streets while the moving video for "One Mic" received heavy support from MTV. Throughout 2002, Nas continued his comeback with a number of guest appearances, among them Brandy's "What About Us?," J-Lo's "I'm Gonna Be Alright," and Ja Rule's "The Pledge." Amidst all of the drama, Nas salvaged his esteemed reputation and reclaimed his status atop the New York scene. Stillmatic earned immediate acclaim from fans and critics alike and sold impressively, while Columbia furthered the comeback campaign with two archival releases, one of remixes (From Illmatic to Stillmatic ), the other of outtakes (The Lost Tapes , which notably included some of the pirated I Am material). Then, at the end of the year, Columbia released a new studio album, God's Son (2002), and Nas once again basked in widespread acclaim as the album sold well, spawned sizable hits ("Thugz Mansion," "Made You Look," "I Can"), and received rampant media support. Two years later, Nas returned with Street's Disciple (2004), a double album that delved deeply into various issues, most notably politics and his impending marriage to Kelis. 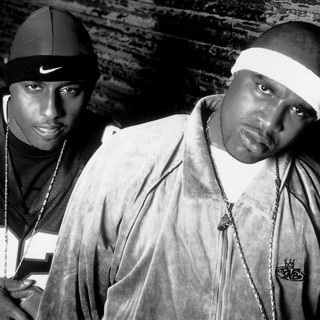 The two-sided "Thief's Theme"/"You Know My Style" single dropped in summer 2004, several months before the album's release, and was followed that fall by the proper lead single "Bridging the Gap." In a surprising turn of events, Nas made an appearance at Jay-Z's much-hyped I Declare War concert during October 2005. Together the two rivals performed "Dead Presidents," Jay-Z's 1996 debut single. (The classic song features a prominent sample of Nas' 1994 classic "The World Is Yours.") The reconciliation of Jay-Z and Nas opened the door to a deal with Def Jam. The record label, overseen by Jay-Z as president at the time, signed Nas and, in turn, released Hip Hop Is Dead (2006). The album inspired a lot of commentary about the state of hip-hop and included a much-anticipated collaboration with Jay-Z, "Black Republican." A politically charged self-titled album, at one point considered to be titled N*gger, materialized in 2008. It became Nas' fifth number one album.